Yesterday I shared Part I of our collection of children's picture books of fairy tales. Today I'm sharing a few additional titles I have selected for my kids (and myself!!) to read. 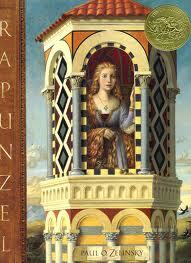 Moving right into the subject of this post, we'll start with Rapunzel. The husband has enough of hearing about his wife's craving and he goes over the wall and onto the sorceress' land to steal some rapunzel. He is caught and in exchange for his life, he promises the sorceress the life of his baby. This story clearly has an awesome moral attached for pregnant women and their husbands. 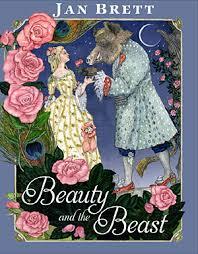 My favorite version of Beauty and the Beast comes from the artful hand of Jan Brett. The first edition of this story appeared in 1740 and since then it has seen its fair share of revisions. I can take Brett's. Beauty lives with her sister and merchant father in a grand house. Alas, the family fortunate is lost and the family flees to a house in the country. One day the merchant heads to down to see about one of his ships, only to discover it lost and himself left destitute. Depressed, he heads home to his daughters but gets lost along the way. He stumbles into the castle of the beast - who in this version has some manners - and the rest, as they say, is history. Typical Brett illustrations makes this book a charming read-aloud. It is something of an amazement to me, as I've been putting together these posts, at the number of anti-fairy-tale articles I found online. I'm not going to link to them because I think their arguments are flatly ridiculous. There is a growing movement to withhold fairy tales from our children, chiefly so that they will not grow disappointed with their reality. Is it likely that a young girl is going to marry a handsome prince these days? Likely no. However, is it likely that if she pursues excellence and maintains high standards than a man of honor will take note of her? I say yes. I think we can see ourselves in fairy tales - both what we are and what we want to be. Furthermore, I think we should look for ourselves there. We might be delighted by what is discovered when we immerse our society in fairy tales once again. And contrary to popular opinion, our children can handle these tales. They want to read them and should be told that it is right for them to do so. My boys are rivted to each of the stories I have shared with you the past few days. Sometimes I cringe when reading, wondering what they'll think of the evil characters and periodic death scenes. I am always surprised and gratified to discover that such stories excite them. When I say that they are excited, I do not mean to violence but in a way that leads to heroism! They read and then run off to pretend that they are fighting against bad guys. I always want them to look for evil and to counter it with good. Always. I hope my children continue to love fairy tales and I intend to always encourage them. Why? Because I value noble hearts, brave deeds and sacrificial love. Fairy tales tell us about such things. Therefore they ought not to be so readily dismissed. Thank you for sharing your favorite fairy tales. I've been wanting to get some fairy tales to have on hand when my daughter is old enough, but I haven't had a good idea on which ones to start collecting. 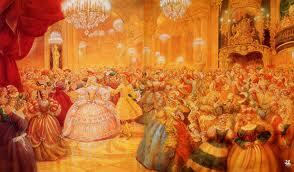 Besides there are plenty of fairy tales that aren't just beautiful-girl-marries-handsome-prince. Really there's a huge variety out there that speak to many different aspects of life. I've been collecting fairy tales, but I admit I prefer the less gruesome versions....where the bad guy is still defeated and the good guy saves the day, but without losing so many body parts and being cut open and all that. Apparently, I don't read them right, because I still get nightmares from that kind of stuff. ;) (not against them, though) I still have them, and will try them out on my boys a little down the road. I have loved these fairy tail posts. Most of the books I had not seen, like Jan Brett!? And I love the Cinderella. I believe in fairy tales, I think each individual lives their own, be they a princess or knight. Metaphorically speaking. My Mr is my knight, he defeats dragons for me, he dedends me and cherishes me. I, in turn must be his princess, I encourage and support him, I keep the castle safe while he is gone and I never throw him to the wolves by word or deed. Every boy should quest for his princess and every princess should wait for the good knight. Sometimes I think that those who are strongly opposed to fairy tales are reacting to what they *think* the tales say or mean, and often haven't really read them. Or they are perhaps thinking of the Disneyfied versions. 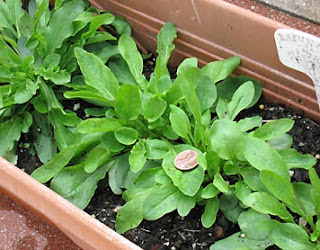 Carrots correctly notes that there are such a huge variety (from around the world, too!) with different points and ideas. It's actually a pretty small percentage that are "princess is rescued by prince." My kids - particularly the girls, who are older - enjoy fairy tales, and we have read them together. Even the more gruesome ones. Interesting discussions ensue. 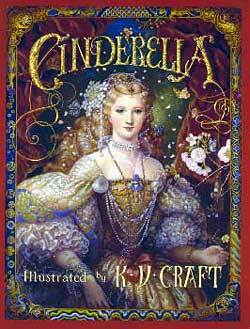 There is so much to discover through fairy tales and literature as the kids grow. I can't imagine missing it. "Sometimes I think that those who are strongly opposed to fairy tales are reacting to what they *think* the tales say or mean, and often haven't really read them. Or they are perhaps thinking of the Disneyfied versions." I will also confess to having not read any of the originals. My parents wouldn't let me watch or read anything with witches or magic while growing up and I still shy away from it. It's mainly because I'm not sure how that magic fits in with a strong belief in God and the Bible. I'd rather continue to shy away from the magic while being unsure of how to deal with it Biblically than to dive in and be convicted by reading the Bible that it is wrong. Not saying it is Biblically wrong, just saying I don't know.